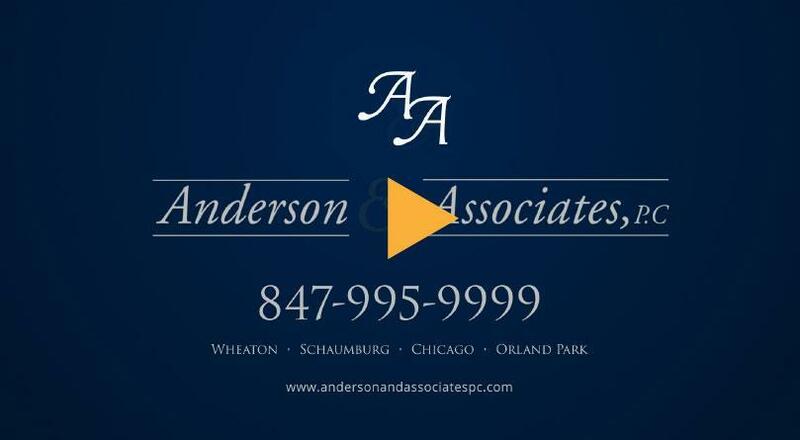 Wheaton Divorce Lawyer | DuPage County Family Law Attorney | Illinois | Anderson and Associates, P.C. "Denise McCann has provided me on several occasions with excellent service. She's knowledgeable, caring and looked out for my best interests. She will be straight with you, which I appreciated. Her follow up is amazing. I definitely recommend Denise." "The communication with Chris was great he always responded in a timely manner. He was very thorough when explaining what was being done with the case. His paralegal was also helpful through the process. They make a great team. Overall I was very happy with the service I received." "A caring, passionate, dedicated, knowledgeable, and excellent attorney to have represent me in my divorce case. Not only she deeply cares about the case, she cares about me as a person, and how I am handling it all. Kasia is definitely someone you want on your side to help you through. I highly recommend Kasia Malkinska Naugle." "Dennise handled a family matter for me. She saw past the emotions and kept the end goal in mind throughout. I felt that she truly followed everyone&apos;s best interests throughout, with a focus on the children&apos;s welfare while remaining reasonable and working towards a solution that everyone could live with. she was efficient time-wise and her billing was fair. I will use Dennise for my future needs and would recommend her to my best friends." The family law and divorce lawyers of Anderson and Associates, P.C. have provided legal assistance, advocacy, and representation to clients throughout the Chicago area for over 30 years. With multiple attorneys who are skilled and experienced in family law, bankruptcy, and estate planning, we can provide you with the legal help you need. During a divorce case, we can advise you of your rights and responsibilities, help you understand your options, and represent you in court. If you need to resolve issues related to the division of marital property, allocation of parental responsibility (child custody), child support, parenting time (child visitation), or spousal maintenance (alimony), we will work to reach a settlement or, if that is not possible, advocate in court for the best interests of your family. Medium to High Net Worth Divorce - We handle complex divorce cases involving large assets, business valuation, real estate, and investments, pensions, and retirement accounts. Legal Assistance Before, During, and After Divorce - We help couples draft and litigate prenuptial and postnuptial agreements, reach amicable divorce settlements through mediation and collaborative law, and modify or enforce existing divorce decrees. Providing for Children's Best Interests - We work with parents to resolve disputes over child custody, child support, and visitation, and we assist with adoptions, guardianships, and establishing paternity/parentage. Protecting Victims of Domestic Abuse - We take claims of domestic violence seriously and help victims obtain a restraining order/order of protection. Understand your rights and responsibilities throughout the divorce process and learn about the issues that must be resolved during divorce. Protect your children's best interests in matters of parental responsibility, parental visitation, child support, and other child issues. Learn how a major change to Illinois law that took effect in July 2017 redefined the way child support is calculated. In addition to meeting your divorce and family law needs, the skilled and dedicated attorneys at Anderson and Associates, P.C. can provide legal assistance in a wide variety of other areas. Our estate planning attorneys can help you provide for your family following your death through a will or trust, and we can represent you in probate court as well as establish durable power of attorney. Our knowledgeable bankruptcy lawyers can help you survive a financial crisis through Chapter 7 or Chapter 13 bankruptcy, and work with you to avoid foreclosure and negotiate with creditors. Our criminal law attorneys can represent you if you have been arrested or charged with a crime. Anderson and Associates, P.C. owner and founder Jonathan G. Anderson is proud to be recognized as a member of Leading Lawyers. This distinction is awarded to attorneys who have been recommended by their peers as a top lawyer in their area of practice, and fewer than 5% of licensed attorneys in each state receive this recognition. Jon Anderson focuses on complex divorce cases involving the discovery of hidden assets and valuation of businesses and real estate, as well as litigation of any issues related to prenuptial and postnuptial agreements. He leads a team of talented, hard-working attorneys as they provide legal assistance to clients in cases of family law, divorce, bankruptcy, and estate planning. Ensure that you are able to provide for your family after your death through the creation of a will or trust. Our attorneys can also provide representation in probate court and assist with contested estates. Learn about your available options for escaping crippling debt through the legal process of Chapter 7 or Chapter 13 bankruptcy. We can help you avoid foreclosure and negotiate debt settlements with creditors. If you are looking for legal assistance, the attorneys of Anderson and Associates, P.C. can provide you with the guidance and advocacy you need. We will work with you to help you understand your rights and obligations and advise you of the best available options that will help you reach a speedy, effective resolution to your case. Contact our Wheaton law firm at 630-653-9400 to schedule a free initial consultation. We serve clients throughout DuPage County, including Naperville, Glen Ellyn, Winfield, Warrenville, West Chicago, and Glendale Heights. ▶What Does Allocation of Parental Responsibility Mean? ▶Will I Have To Pay My Spouse Maintenance And How Much? ▶Where Can I File For Divorce? ▶I Have Been Named the Executor of a Will What Next?